A hackneyed profundity: we are self-conscious. Though while consciousness objectifies the “self”—-a sense of identity separate from “the environment”—-human beings are ultimately indistinct from the Earth, from being. Life—-human life—-is part of the natural condition of the planet. Humans are no less part of the Earth than any other constituent of the ecosphere. In our consciousness of ourselves and of the Earth, the Earth is conscious of itself. With consciousness such as ours comes a natural existential self-interrogation. We turn our minds inward and wonder why we—-the Earth, life, humanity—-exist. Wondering why we exist, or why any natural phenomena exists for that matter, begets at least four answers: material, efficient, formal, and teleological. As a dichotomous counterpart to the teleological answer, the former three can be understood in combination as the physiochemical answer (genetics, biochemistry, phenotypes, sexual reproduction, evolution, cosmology, etc.). The physiochemical answer gives the reason for our existence, whereas the teleological answer is a matter of purpose—-usually a matter of philosophy, mythology, spirituality, mysticism, etc. Our relationship with the Sun is a special one. Each day, the very idea of which presupposes the presence of the Sun, we are reminded of the physiochemical answer to the existential question. 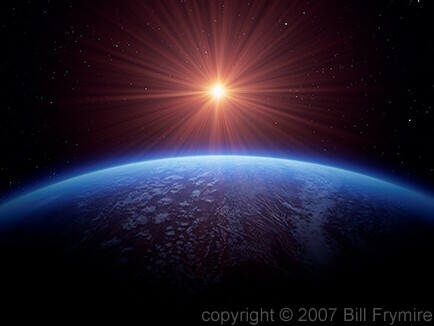 Without the Sun, consciousness and life on Earth—-the natural condition of the planet—-could not be. The Sun is an immediate and tangible answer to the existential question. But only half. While the Sun enables life, it does not give us purpose. Purpose is something humans conceive because we recognize function in the natural world. While we often conflate the two, function is not purpose. Purpose is a narrative we create to give a sense of meaning and direction to existence. But the history of life is not a procession of purposive events. Life is the result of billions of years of matter-energy interacting with itself. 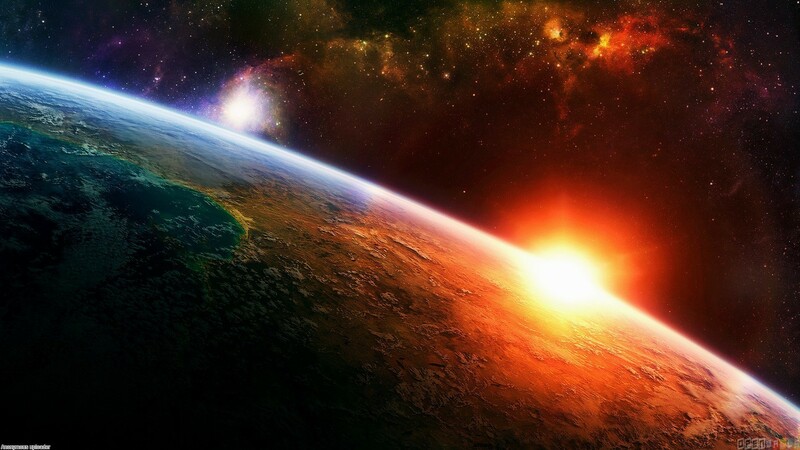 Amidst this process, it’s seemingly improbable, but probably inevitable that eventually the life cycle of solar systems in the universe would happen upon the right combination of planetary elements and solar energy as is necessary for carbon-based biological evolution to begin, which then relies largely upon random mutation and genetic drift. Life, in other words, is contingent. The contingency of life, however, is not cause to abandon all ambition, recluse from society, or resign to nihilism. While we are contingent beings, we are also teleological beings. In perceiving the natural function of phenomena out in the world, we use, among other Aristotelian causes, the idea of telos to explain and understand said natural phenomena. But function is not purpose. Natural function exists objectively, but purpose is an object of consciousness. We use the idea of purpose to organize our perceptions of chaotic and contingent reality into a coherent, knowable, orderly, and comfortable narrative. We project the idea of purpose onto the world to constitute and substantiate the grand mythology that the universe has order and direction, and that so too, therefore, does human life. As part of our natural existential self-interrogation, we attempt to explain our own existence in terms of purpose. Believing that we have purpose in life is a rather reliable way to make life feel meaningful and worth living, after all. Though rarely do we value the same purposes. Teleology is pervasively diverse. Only the idea of purpose itself is universal to humanity. In such diversity of purposes, we should be content to see that our universal purpose, if we are to approach the limit of objectivity, is just to be the kinds of creatures who are concerned with the purpose of our existence at all. Other animals need no sense of purpose. The desire to have purpose in life is uniquely human. In explaining human existence in terms of purpose, we should limit ourselves to the generality that the purpose of being human simply is to be teleological beings. We should observe the idea of purpose from a mindful distance. Purpose should be viewed from high above and from all temporal perspectives so that we see and appreciate cultural diversity, cultivate tolerance and open-mindedness, and curtail teleological dogmatism. But to view the idea of purpose from an objective vantage means confronting our contingency. We must be comfortable with and accept that human beings have no grand purpose in the ultimate scheme of the universe—-except, perhaps, to co-exist as part of the Earth. But the Earth is not concerned with purpose, nor does the Sun dictate teleology. Only humans conceive of purpose. Almost universally, human nature is to ponder, create, employ, deconstruct, and take pleasure in the idea of purpose. Evolutionary theory would reduce teleology to the physiochemical—-to being no more than a fitness advantage—-but the phenomenology of purpose is something over and above its neurochemical groundwork. The experience of being conscious could be explored and explained for eternity yet never be fully captured—-by art or by science. The same holds true for the teleological branch of the existential question. Purpose is a canvass of infinite depth. The idea of purpose is essential to the human condition. But conceiving of purpose does not change the fact of our contingency. While our subjective struggle to affirm our purpose in the universe may be absurd, we must remember to imagine Sisyphus as happy. Our utter contingency is an opportunity—-a privilege—-to create purpose together and as individuals. The idea of purpose is the foundation of the cultivation of skill, companionship, and community—-without all of which the tedium of consciousness would be unbearable. The reason for purpose may be evolutionary, but the purpose of purpose is to make life feel meaningful in the face of contingency. We use ethics to judge what is worth doing and endeavor to fill our days with purposive activity while the Sun beams magnificently upon us. The Sun energizes life, but does not give us purpose. Creating purpose in life is the human endeavor. Hi Jordan-Dean here. Just signed up and thoroughly enjoyed reading your thoughts. Sometime, remind me to share some of my graduate school writings. Two things: I derive a significant portion of my happiness from being able to postulate “I know that I don’t know.” Knowing that was an overwhelming relief and freedom from my previous religious dementia! And second, I was friends with Justin Hall-Tipping when I was married and lived in Virginia just outside Washington, DC!